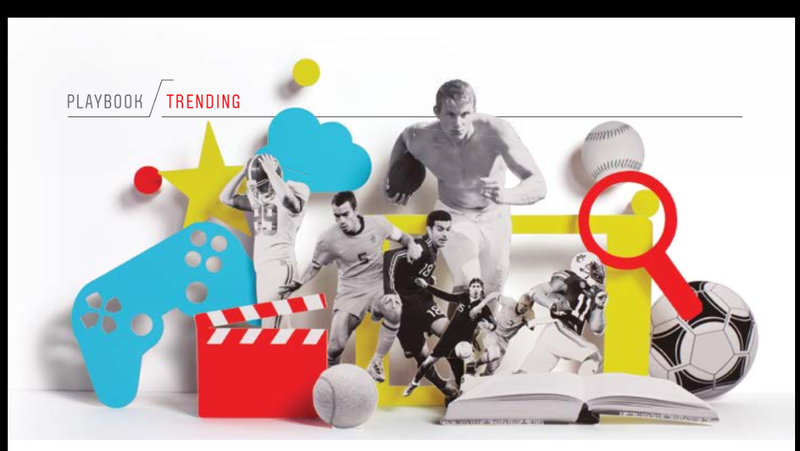 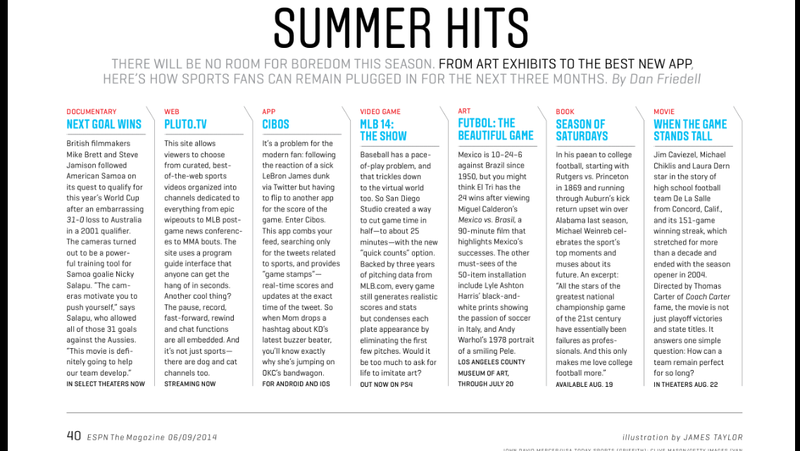 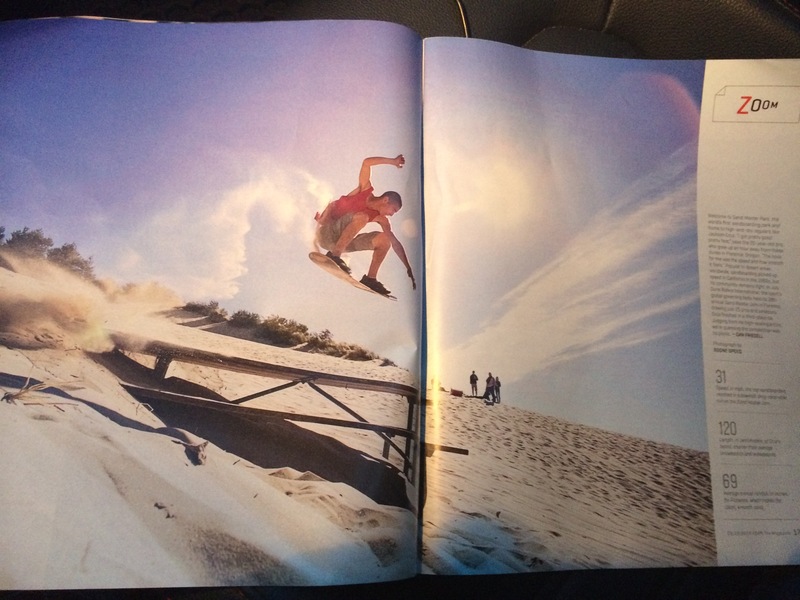 ESPN the Magazine asked me to write a compilation of the summer’s best media offerings. 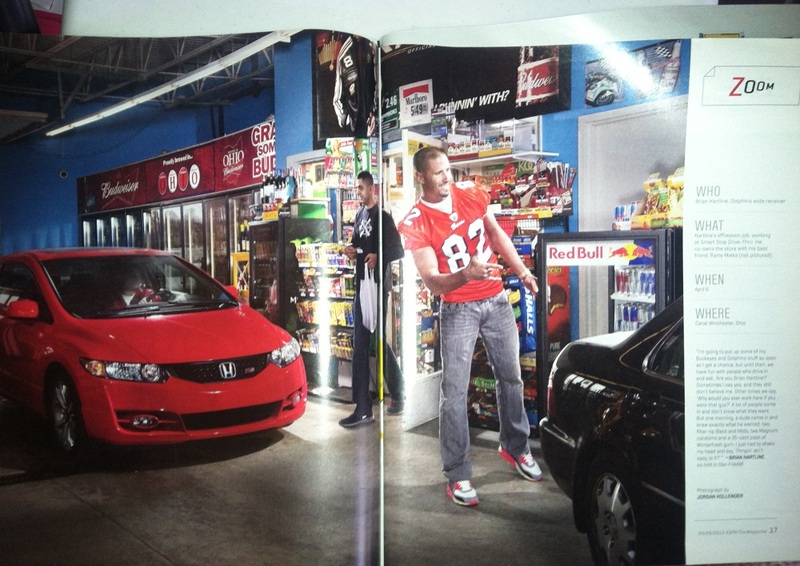 During Spring Training in 2013, I was hanging around the Toronto Blue Jays’ complex in Dunedin, Fla. and I came across these Rawlings guys showing off their wares to various Toronto players. 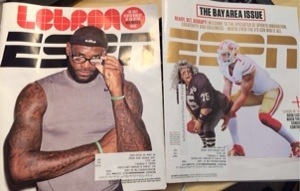 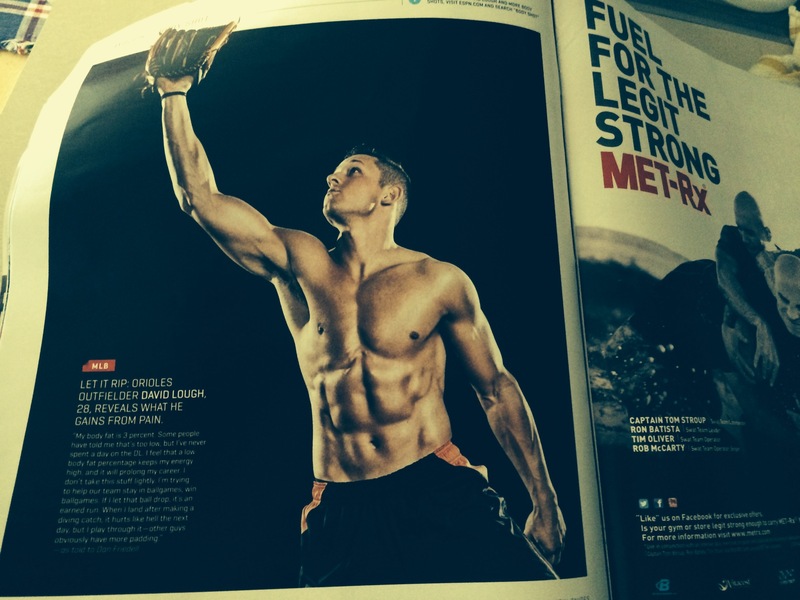 Fast-forward a year later, and it’s an ESPN the Magazine photo gallery that I pitched and wrote. 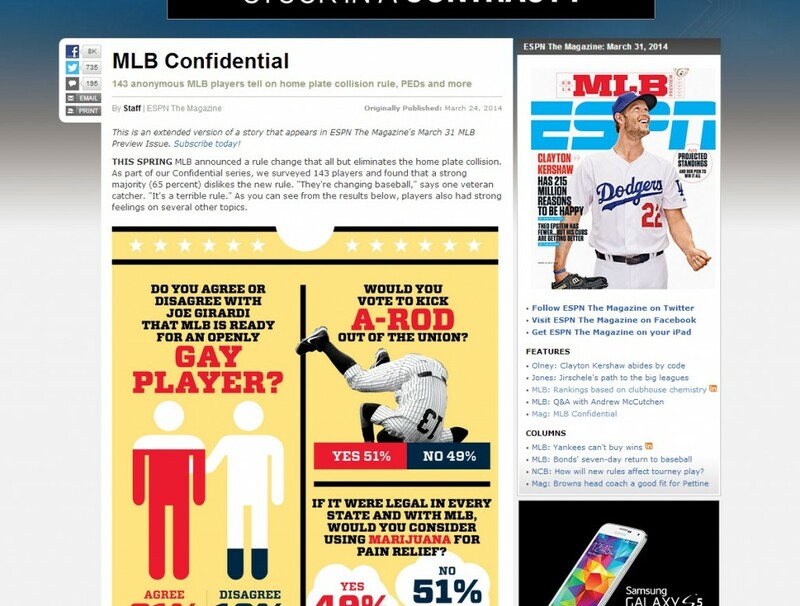 A slide showing some of the gloves on offer to MLB’ers from Rawlings. 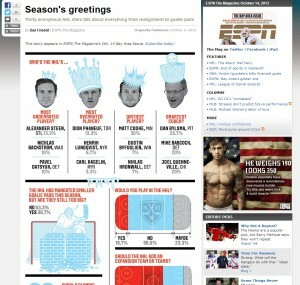 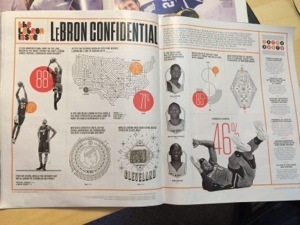 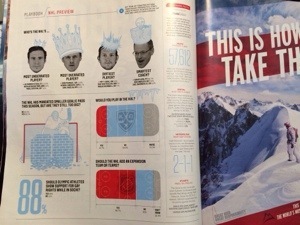 ESPN the Magazine NHL confidential. 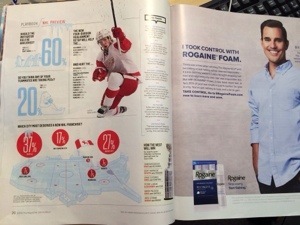 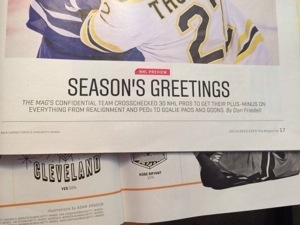 There’s a confidential survey of 30 NHL players in the newest issue of ESPN the Magazine (Oct. 2013). 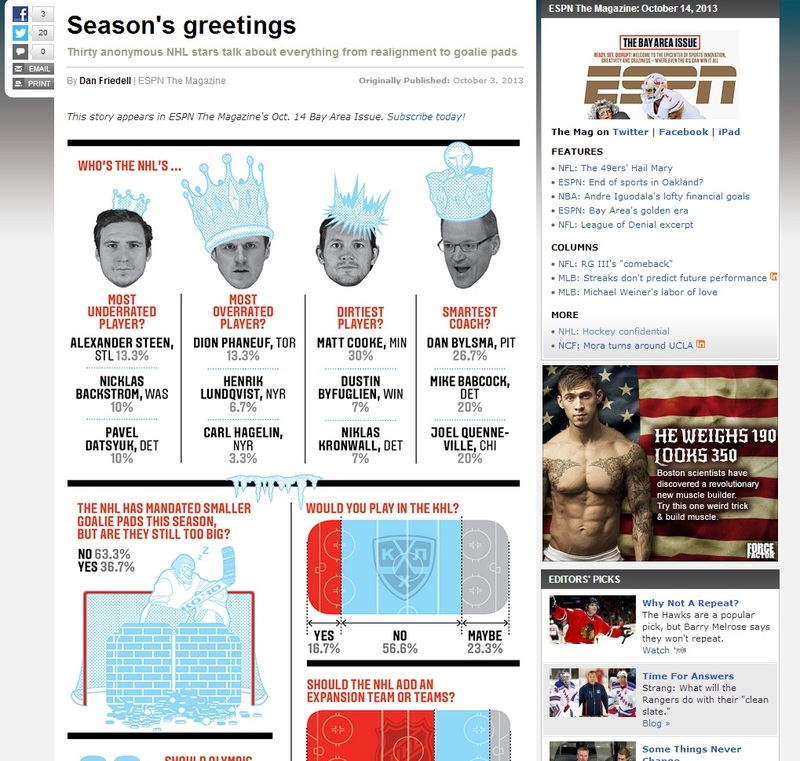 I surveyed 26 of them to get their perspective on issues like gay rights in Russia, NHL players leaving for the KHL, and who is the most under-rated player. 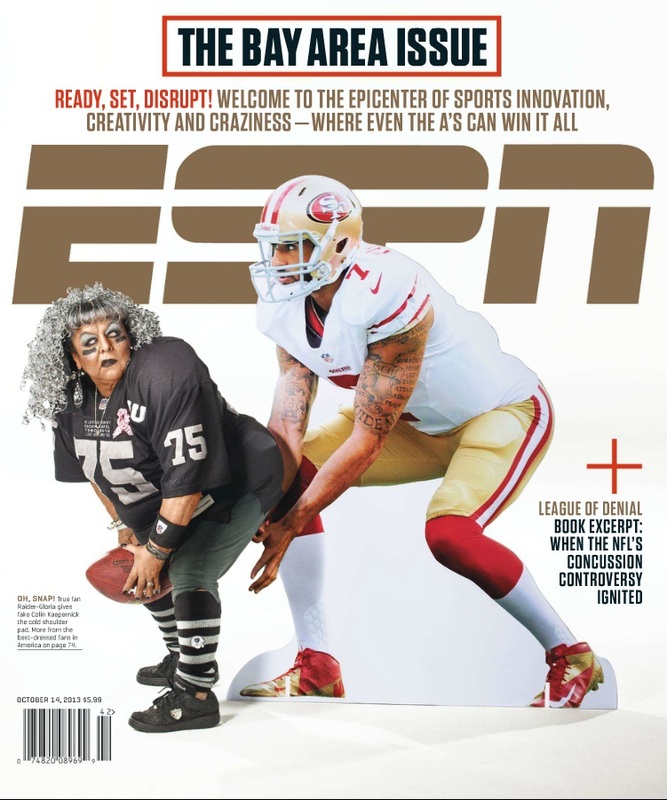 The cover of ESPN the Magazine, Oct. 2013.